Fully integrated. Massively capable. Customer driven. We pursue superior quality in everything we do. 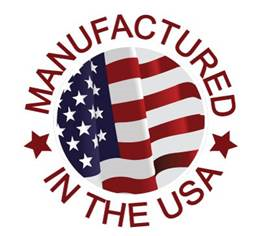 We’re ISO certified; we conform to ASTM standards; and our commitment to Lean Manufacturing generates continuous improvement through constant training, painstaking maintenance, and ever-better processes. Those are just some of the reasons why our products and services consistently exceed customer expectations. Our headquarters facility, in Leetsdale, Pa., near Pittsburgh, manufactures high-volume, high-quality products to ever-tighter tolerances — from construction copper sheet, transformer winding, and copper tape to copper strip, sheet, and plate, as well as copper-nickel sheet and plate. Continuing capital outlays target future advances in quality, capacity, and environmental protection. The Hussey bar mill in Eminence, Ky., is the only plant in the U.S.A. that can supply rolled bar with a finished edge as wide as 12 inches. We offer all standard bar dimensions, and can quickly deliver custom sizes engineered to fit your specific needs — often with no additional die charges. The plant is equipped with continuously upgraded rolling mills and lines dedicated to annealing, silver flash plating, and tin plating. Hussey’s fabrication plant, also in Eminence, focuses on simplifying your manufacturing processes. Now you can outsource value-added parts made from copper bar, rod, and shapes (either rolled or extruded), and incorporate our precision technologies and metalworking expertise at every stage of production. When it’s about copper, you can call on Hussey. You’ll get the answers you need to get the job done.